If you are a hiker, you know that nothing says bonding and great memories like a backpacking trip. That includes couples, of course. 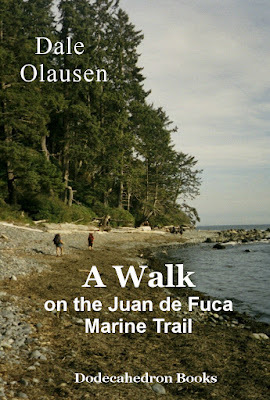 And what could be more romantic than planning a great hike on the wild western shore of Vancouver Island with your significant other, during the Valentine's Day weekend? And even if you and your hiking partners have no romantic inclinations, it's still a good time to start planning a trip. After all, it won't be long until the hiking season begins. The hiking journal "A Walk on the Juan de Fuca Trail" is free this Valentine's week on Amazon. After that, it's all of 99 cents. Here is a summary.